Hollywood star best known for playing Katniss Everdeen in the Hunger Games film franchise. She also portrays Raven in the X-Men series. In 2013, she won the Academy Award for Best Actress for her role in the film Silver Linings Playbook. During her summers growing up, she worked as an assistant nurse at her mother's day camp. She graduated from high school in two years with a 3.9 GPA. She earned her first Academy Award nomination for her leading role in the 2010 independent feature Winter's Bone. She is the daughter of Gary and Karen Lawrence and sister to Blaine and Ben Lawrence. She dated X-Men co-star Nicholas Hoult from 2011 to 2014, then she briefly dated Coldplay frontman Chris Martin in 2014. 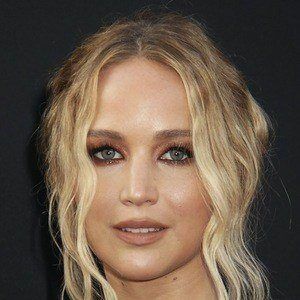 From 2016 to 2017, she was in a relationship with director Darren Aronofsky. She auditioned to play Bella Swan in Twilight, but Kristen Stewart landed the part.